A Riley Gift For YOU! Send the Gift of Pat Riley! With the playoffs in full force, show that you're a RILEY FAN by sending a Riley Fan postcard to your friends and relatives! 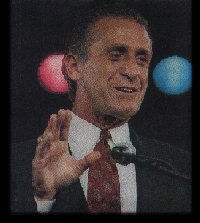 Feast Your Eyes on the PAT RILEY IMAGE GALLERY!